"Island Gurl", Leenda Bonilla, "Frog King, " Copie Rodriguez, " "Mem's Friends," Laura James. A "pop-up" art exhibit has a very short shelf life, here to day gone tomorrow. Nevertheless, today is a great day to take a stroll up Lenox Avenue in Harlem and stop in at 48 Astor Row on 130th street and see the art exhibition entitled "Sum of Histories." 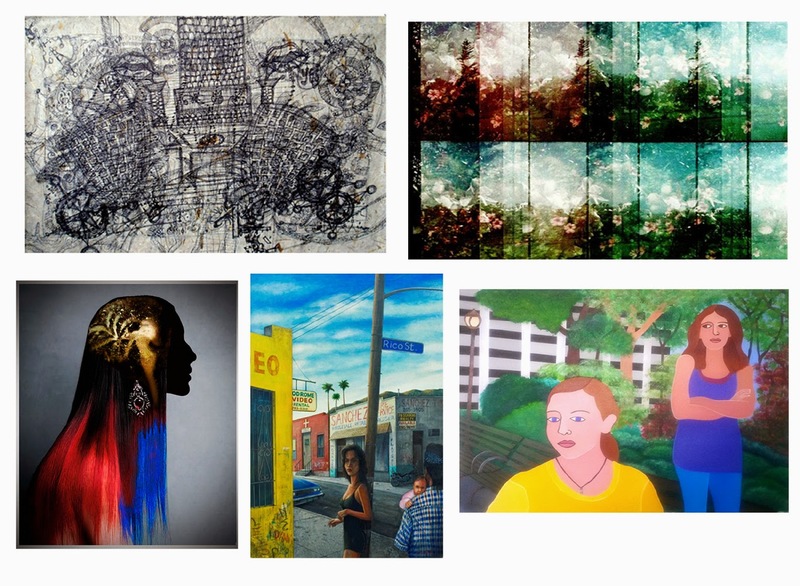 A group show consisting of five artists, whose artistic endeavors are at a mid-career point. Their individual creative paths are not similar but their desire to communicate a narrative with their audience naturally ties them together in this strong exhibit of their work.